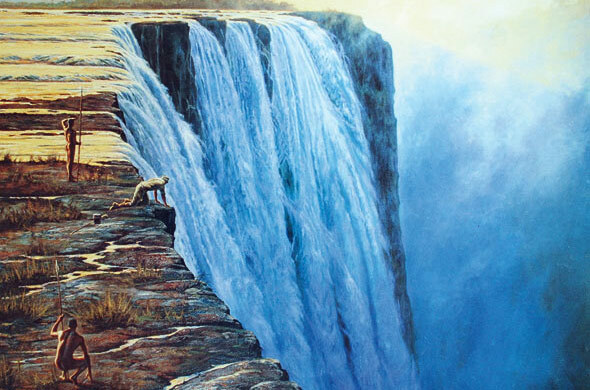 While David Livingstone was not the first European to enter Zambia, he was the first to travel to the Victoria Falls. In the local Kololo language, it was called Mosi-oa-Tunya - meaning "the smoke that thunders". David Livingstone was transported by the local people to an island on the edge of the Victoria Falls, and it was from there that he first saw the Victoria Falls. This island is what is now known as Livingstone Island. David Livingstone named the waterfalls after Queen Victoria, who was the queen of Great Britain at that time. 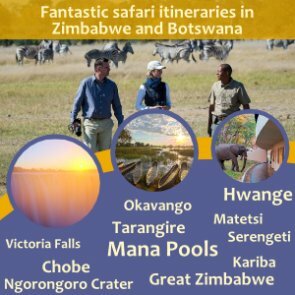 It was the reports by David Livingstone that sparked interest to the area, and eventually missionaries and traders settled in Victoria Falls and Livingstone. 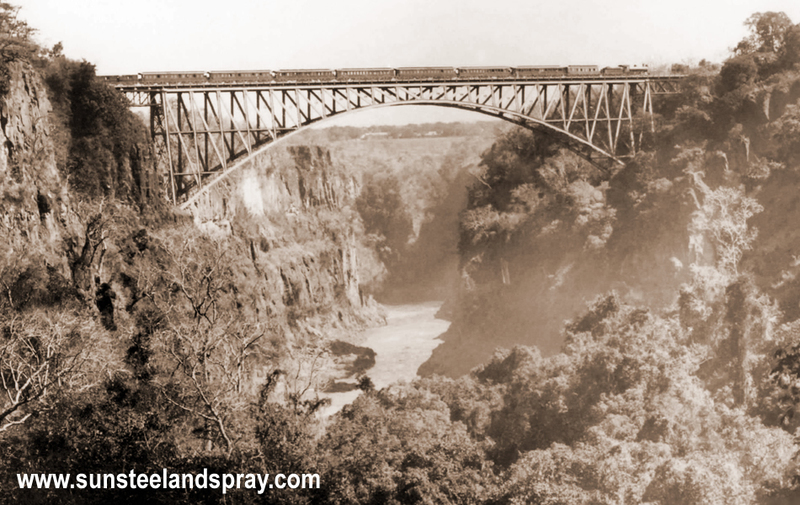 In discussing the history of Livingstone town, one cannot leave out the dream of Cecil Rhodes of the Cape to Cairo railway line - in comes the Victoria Falls Bridge, which was completed in 1905. Although the railway line never did reach Cairo, the completed stretch gave more people access to Victoria Falls - a journey that used to take 4 months now only took 4 days by train. The Victoria Falls Hotel in Zimbabwe was meant to be torn down after the bridge was built, but had to be expanded due to the increased number of tourists to the area. Before the commissioning of the Victoria Falls Bridge, the first white settlement began along the Zambezi River about 10-12kms upstream of Victoria Falls known as the Old Drift. 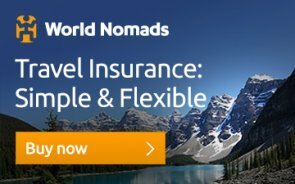 Settlers, who were generally in search of wealth and adventure in the lands further to the north of the Zambezi struggled with malaria and fever and the mortality rate was extremely high. In one rainy season 11 of the 31 settlers died of malaria or blackwater fever. If they didn't succumb to the fever they were often mauled by lions. 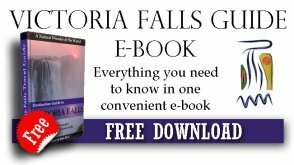 After the bridge was completed, the settlers at the Old Drift were made to move to a less mosquito-ridden new town about 12 kilometres inland from the Victoria Falls. This distance of the planned town from the Falls was opposed by the settlers who felt that it was too far from the natural wonder, and that they would loose out on income from tourism. 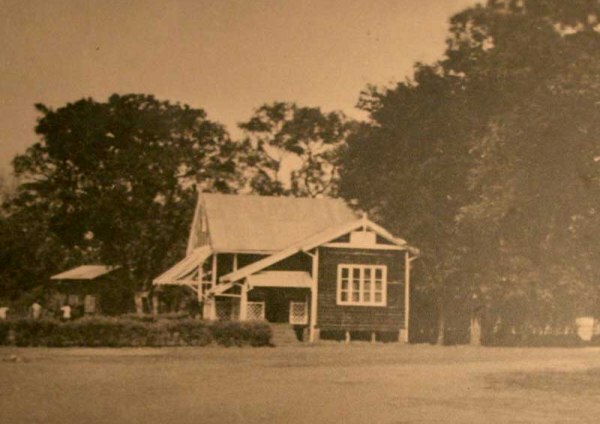 However, with the move of the British South African Company's headquarters to Livingstone, the town began to grow - hotels were built, and by 1910 Livingstone had a post office, a court house, two hotels, a government house, a civil service building, an Anglican church, residences for civil servants of high rank, and a hospital under construction. A water pumping machine was installed in 1910 to provide water to the residents of Livingstone. Electricity was supplied by a generator to hotels, stores and the cold storage, later the Hydro Electric Power Station provided power from the Zambezi River. Transportation was by mule-cart, and later, a trolley line was built from the government house to the Railway Station and the Boat Club. The trolleys ceased in 1927 because they were involved in too many accidents, and roads had improved by then. In 1911, Livingstone became the capital of Northern Rhodesia (as Zambia was called then), since is was the most modern town at that time. It was still under the British South African Company. In 1928, Livingstone was given municipal status after it came under British rule. 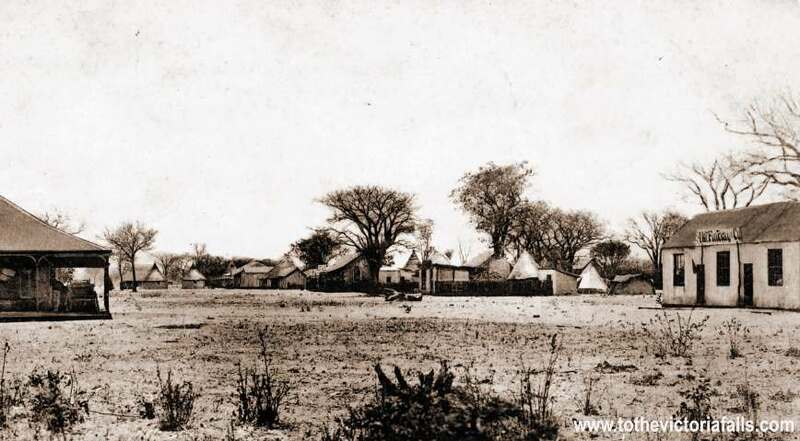 However, the town lost its status when Lusaka was named the capital in 1935 in order to move the country's administration closer to the copper mines and farming districts. Despite the setback, Livingstone town managed to expand with a new airport, a secondary school, a public hall, a new civic centre, and in the early 1960's a new railway station, a new hospital, a bigger post office, and a big new hotel came to being. African welfare, housing and education centres were developed, and Livingstone had 10 African schools and a teacher training college. The town had developed in a big way, and had beautiful green gardens, clean and neat shops, and a buzzing social life. 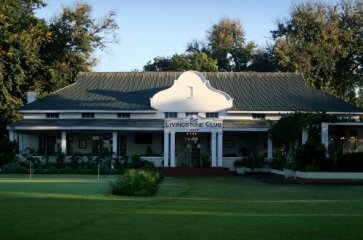 Livingstone is now a place bursting with life infused with historical and contemporary Zambian culture. You can still see the charm of old in the colonial and public buildings with their wide, columned entrances, white facades and some with wooden verandas.